In a Nutshell: Not all of life’s important lessons are learned in classrooms or from teachers. No, some of the greatest lessons you learn can be taught by movies. The thousands of films made over the last century contain in their ranks a perfect teachable movie moment to advise you in nearly any situation or answer life’s big questions. What does love mean? Never having to say you’re sorry. What do you do when you’re tracking a great white shark? You get a bigger boat. Even for complicated subjects like finance, there exist hundreds of films imparting important and practical real-world knowledge. Everything from the perils of poor spending to the trials of business can be gleaned from the screen. 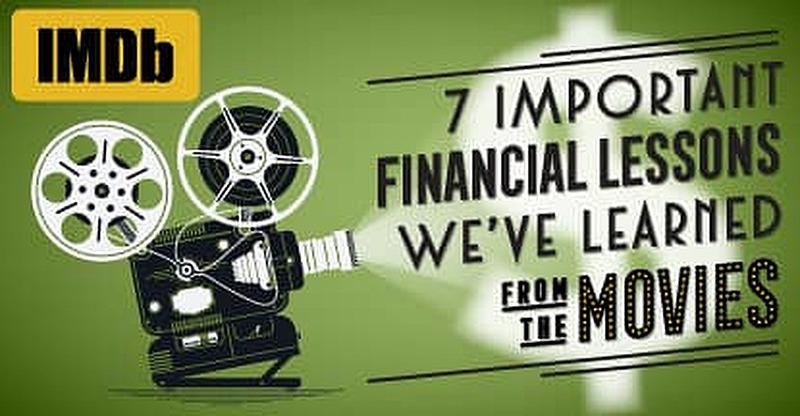 By pulling from timeless classics such as “The Godfather,” more modern titles like “The Wolf of Wall Street,” and the real-life example of Col Needham, a self-dubbed film geek — and Founder of movie database IMDb — we’ve put together seven money lessons that anyone can learn by watching the right movie (and the right movie fan). Over the last century, millions of films have been produced around the world, from the short, silent movies of the late 1800s, to the high-budget blockbusters of the modern era. With so many movies at the beck and call of viewers, it’s no wonder that film has become a cornerstone of our popular culture, and of our lives in general. Even in a complicated subject like finance, movies can provide an engaging way to find valuable instruction — and not just in the films about money. You can learn any number of great financial concepts, including important lessons on supply and demand and the dangers of excessive spending, in any film genre, from comedy to drama — to dramedy. One of the most important concepts anyone in finance or business ever needs to learn is that of supply and demand. The relationship between the two is pretty simple: buyers demand stuff, and sellers supply it — for a fee. However, the key part of the equation is, without demand, there’s little need for supply. Before sinking your money into a new business, make sure your potential product or service already has a source of demand. One of the most quoted (and misquoted) movies when it comes to supply and demand has to be the 1989 drama, Field of Dreams, and the haunting voice that tells Kevin Costner, “If you build it, he will come.” Here, Kevin Costner’s character, a small-town farmer, is driven to build a baseball field in the middle of his corn, eventually becoming convinced it would generate tourism and income. Which, (spoiler alert) it does, due to the fact that, well, people love baseball. Costner’s character is able to capitalize on an inherent demand for the sport and save his farm. Similarly, the 2010 film, The Social Network, based loosely on the foundation of social networking site Facebook, shows a character tapping into a high demand population. In the case of Facebook’s Founder, Mark Zuckerberg, however, he was actually able to tap into a demand of which most people were unaware they had — the desire to connect to people with the same interests, digitally, from anywhere. A series of intelligent business decisions helped Mark Zuckerberg (and his movie counterpart) to capitalize on that inherent demand — and generate even more. 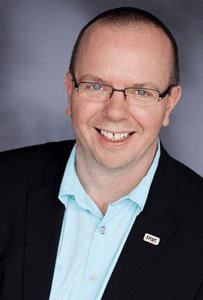 Col Needham began IMDb from his personal database in response to a demand for information. And, as you read about these movies on IMDb.com (as we all do), take a minute to think about the site itself while you’re at it; IMDb is another excellent story about the relationship between supply and demand. Of course, it should be little wonder that Col Needham‘s story sounds like something out of a film — the IMDb Founder recently hit the 10,000-movies-watched mark himself. Based on his success, it’s probably safe to say he’s learned a few important lessons from those films along the way, too. In fact, when Col placed his personal film database online for others to view and download around 1990, creating the first iteration of IMDb, he was simply reacting to a demand for accessible information about movies. However, instead of satiating the demand, feeding it was like water on Gremlins — it just spawned more demand. When that demand turned to a desire for the information to be accessible from a searchable platform, IMDb.com itself was born. Col later became IMDb’s first employee so he could tend to the quickly growing company. Now, what started so many years ago as Col’s personal pet project, has turned into a 4-million-title digital compendium of all things film and television. While it’s not wrong to have a bit of healthy ambition, falling prey to the gluttonous glitter of greed can be heartily dangerous. It also tends to land you in jail — or worse. And from which films do we learn this very important lesson? Just about every movie ever made about the stock market or investing (and a good number of heist movies, too). 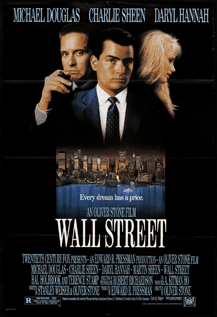 Of the hundreds of movies about the high-risk, high-reward, high-pace investing world that is the stock market, however, few illustrate the dark side of Wall Street quite like the Michael Douglas flick of the same name, 1987’s Wall Street. The infamous Gordon Gekko personifies Wall Street greed in just about every way, down to his famous quote, “Greed, for lack of a better word, is good.” Unfortunately for Mr. Gekko, greed does prove to be good — at getting him a long prison sentence. Along the same vein, the 2000 hit Boiler Room, and 2013’s The Wolf of Wall Street, both teach us the danger of a greedy broker. In each film, the main characters, driven by greed and excessive lifestyles to make increasingly more money, become involved in illegal, but lucrative, stock fraud schemes. While each conman eventually finds some degree of redemption by cooperating with law enforcement to bring down their even-more-villainous corporations, neither character ends up achieving the financial success they so dearly coveted (though one does achieve incarceration). A bonus lesson from any of our three examples: choose your investments broker very wisely. If they make commission, they have the incentive to sell you additional products — regardless of whether you want them, or, sometimes, can even afford them. Make sure to research anyone you intend to let handle your money. I have met the occasional person who feels that pennies aren’t really worth the effort it takes to save them, and some who even discard them upon receipt. This behavior has always made me flinch, because I, like our next examples, understand that pennies can add up — so you should make the most of every cent. Even if you do nothing else but put your spare change into a savings account and ignore it, the interest it earns can help pad your bottom line. One film full of lessons in making every penny count is the delightful 1971 movie, Willy Wonka and the Chocolate Factory. Our boyish hero, young Charlie, is from a poor family, but a loving one, who makes ends meet however they can. Charlie, who has learned frugality and the value of every penny, spots a discarded coin in the gutter — likely considered not worth the effort to retrieve by anyone else passing by. His effort is rewarded when Charlie’s fortunate windfall turns into the golden ticket that changes his life. Though it may not always be fair, money is like a universal tool: it can grease wheels and open doors better than a can of WD-40. In fact, when it comes to negotiating with your creditors, buying a new home, or even luring new employees to your small business, money can do a lot of talking. In some cases, when you’re out of other options, the best solution really is just to make them an offer too good to refuse. This important money lesson is often attributed to the classic 1972 mafia movie, The Godfather, and, specifically, to Marlon Brando’s famous line, “I’m going to make him an offer he can’t refuse.” Of course, we’re not suggesting you use the same methods as Brando’s character — the infamous Don Vito Corleone is not exactly talking about presenting the subject with a generous salary package. The next time you hear AFI’s second-best movie quote, don’t think of Don Corleone’s sinister interpretation — instead, think of the quote’s original on-screen appearance in the 1934 film, Burn Em Up Barnes. In its original iteration, Jason Robards’ character is actually referring to making someone a tempting cash offer (not decapitating valuable livestock). The 2004 comedy, Surviving Christmas, also teaches us an important lesson about making a good offer. When Ben Affleck’s character, a wealthy advertising executive, finds himself alone at Christmastime, he returns to his childhood home, which is now owned by another family. Though at first unmoved by Affleck’s story, his money encourages them to welcome him into their home for the holidays, and he’s able to find the answers for which he was searching. Few of us write checks these days, but this important lesson can apply to any form of currency. Beyond spending money you may need for other things, you’ll also likely end up paying late fees or other charges when you bounce a check, make an overdraft with your debit card, or go over your credit card limit. Writing bad checks on purpose is also a form of fraud and can lead to legal issues. So, avoid the fees, and the fuzz; don’t spend money you can’t afford to spend — especially if it isn’t yours in the first place. Though few have likely heard of it, one of the most amusing examples of our fifth lesson is from the spunky 1994 movie, Blank Check. When 12-year-old Preston gets his bike run over by a recently released bank robber, the distracted thief writes the boy a blank check for the repairs — which Preston happily fills out, and cashes, for $1,000,000. Along with learning the value of a budget as we watch Preston spend his money surprisingly quickly, the film teaches us the importance of financial self-awareness (like always personally filling out the amount of a check or credit card receipt). The 2002 Tom Hanks and Leonardo DiCaprio film, Catch Me If You Can, teaches us the lesson about writing the wrong check from the other perspective: the fraudulent one. DiCaprio plays a feisty teen con artist who makes millions by assuming false identities — and writing a lot of fake checks. DiCaprio’s character is relentlessly perused by an FBI agent, played by Hanks, who tracks the thief around the world as the boy impersonates a pilot, a lawyer, and even a secret service agent. While the conman has a legendary run, the law eventually does catch him, making him answer for his transgressions. A perfect example of the dangers of gambling can be found in the 1995 film, Empire Records. In the movie, record store employee Lucas attempts to save the store from being acquired by a large chain by raising money to help buy the store. While Lucas’s heart may have been in the right place, his method is all wrong — he makes a bad bet and loses it all in an Atlantic City casino. It takes the generosity of not only the store’s employees but the entire community around the record store to save it, all because Lucas gambled something he couldn’t afford to lose. The hijinks-heavy 1997 comedy, Vegas Vacation, provides another cautionary gambling tale. Over the course of the film, Chevy Chase’s character Clark Griswold proceeds to gamble away his family’s entire savings, draining their bank account. His actions leave him penniless and alone, as he ends up driving away his wife and children. While the family is eventually reunited and their troubles solved, it takes a lot of luck. Remember that in the real world, you can’t count on the script to give you a happy ending. Perhaps one of the most prevalent movie lessons is the idea that with enough hard work — and a well-calculated risk — anyone can beat even the most daunting odds. While many of the most improbable film victories may have required more than a little movie magic to happen, we can still apply the lesson to our financial endeavors. Hard work and perseverance are the keys to financial success. I can think of any number of great movie moments that illustrate this lesson, ranging from the heartfelt to the hilarious. For tugged heartstrings, there’s 2006’s The Pursuit of Happyness. After struggling as a salesman, Will Smith’s character, Gardner, attempts to overcome poverty and homelessness by taking the risk of starting a new career. Taking an even larger financial risk, he accepts an unpaid internship while down to his last dollar. Though he faces incredible odds, Gardner maintains his determination, and, by working ridiculously hard, he attains success he’d never imagined. For me, the lesson came as a child while watching Disney’s fun 1986 film, The Great Mouse Detective. An animated (and anthropomorphized) interpretation of the Sherlock Holmes character, the movie centers around young Olivia, who witnesses her father’s kidnapping. She is determined to save him, despite the great risk to her safety, and sets out to get help. Her perseverance, and the deductive skills of a hardworking mouse detective, helps beat the odds; the team finds Olivia’s father — and manages to foil a vast conspiracy against the Crown. Col ran IMDb out of his home for many years, often keeping 18-hour days as he worked to grow the site. While it may have been a lot of work, it was a labor of love — and it certainly paid off. Col has gotten to spend the last 25 years watching his small movie project develop into a pillar of the entertainment industry. The incredible power of film as an avenue of learning is vast, and it expands across genres, age groups, and societal lines. Whether it’s the moral of the story or just an idle plot point, the lessons we learn from movies can have a huge impact on our lives (and our spending habits).